However, because of the separation and distinct operating methods of the societies, it is often difficult for inspectors of one profession to expeditiously learn about another. John L. Pariseau, Director of Curriculum Development with the American Institute of Nondestructive Testing, says inspectors with the versatility to cover all professions are now in high demand and often commanding higher salaries. “More and more employers are pushing for QC/QA [quality control/quality assurance] to be capable of conducting inspections for multiple disciplines,” said Pariseau, who delivered a “How Coatings and Welding Overlap”presentation on Wednesday afternoon at CORROSION 2019’s Exhibit Hall. “The days of single certification inspectors are disappearing quickly,” Pariseau added. He says disciplines that could be combined include NACE’s Coating Inspector Program (CIP 1, 2,3); the AWS Certified Welding Inspector Program (CAWI, CWI, SCWI); and the American Society for Nondestructive Testing’s (ASNT) Nondestructive Testing Technician program(Level 1, 2, 3, method specific). According to Pariseau, final inspection on welded components most commonly occurs prior to surface preparation work, which is usually required to install a new coating system. However, he notes that many defects are uncovered after blasting, often requiring the welding inspector to comeback to the job site and reinspect. 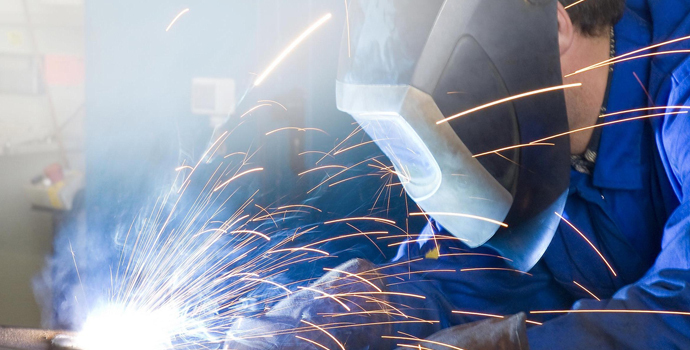 As such, having an inspector with the versatility to cover both coating and welding disciplines would be much more efficient for both the contractor and client. Wednesday’s presentation at NACE’s annual CORROSION conference was made in partnership with AWS, reflecting a shared desire to collaborate and work together toward an end goal of having a more versatile inspection workforce. Another example of that collaboration will come next year at the first annual Inspection Conference, organized jointly by industry groups including NACE, AWS, and ASNT. That event will be held in Houston, Texas, from January 21-23, 2020. The American Institute of Nondestructive Testing is sponsoring the conference, along with Tinker & Rasor.